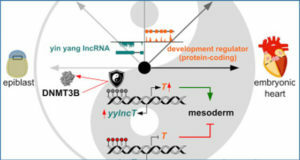 Inference of the biological roles of lncRNAs in breast cancer development remains a challenge. 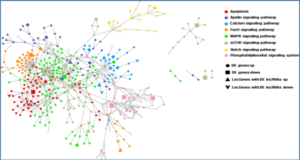 Here, Indiana University researchers analyzed RNA-seq data in tumor and normal breast tissue samples from 18 breast cancer patients and 18 healthy controls and constructed a functional lncRNA-mRNA co-expression network. 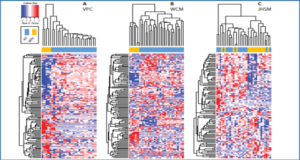 They revealed two distinctive co-expression patterns associated with breast cancer, reflecting different underlying regulatory mechanisms: (1) 516 pairs of lncRNA-mRNAs have differential co-expression pattern, in which the correlation between lncRNA and mRNA expression differs in tumor and normal breast tissue; (2) 291 pairs have dose-response co-expression pattern, in which the correlation is similar, but the expression level of lncRNA or mRNA differs in the two tissue types. 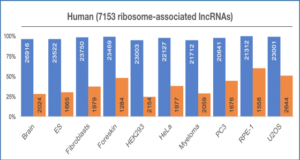 The researchers further validated their findings in TCGA dataset and annotated lncRNAs using TANRIC. One novel lncRNA, AC145110.1 on 8p12, was found differentially co-expressed with 127 mRNAs (including TOX4 and MAEL) in tumor and normal breast tissue and also highly correlated with breast cancer clinical outcomes. 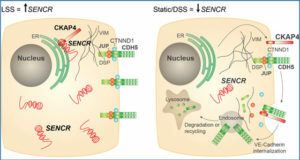 Functional enrichment and pathway analyses identified distinct biological functions for different patterns of co-expression regulations. This data suggested that lncRNAs might be involved in breast tumorigenesis through the modulation of gene expression in multiple pathologic pathways. 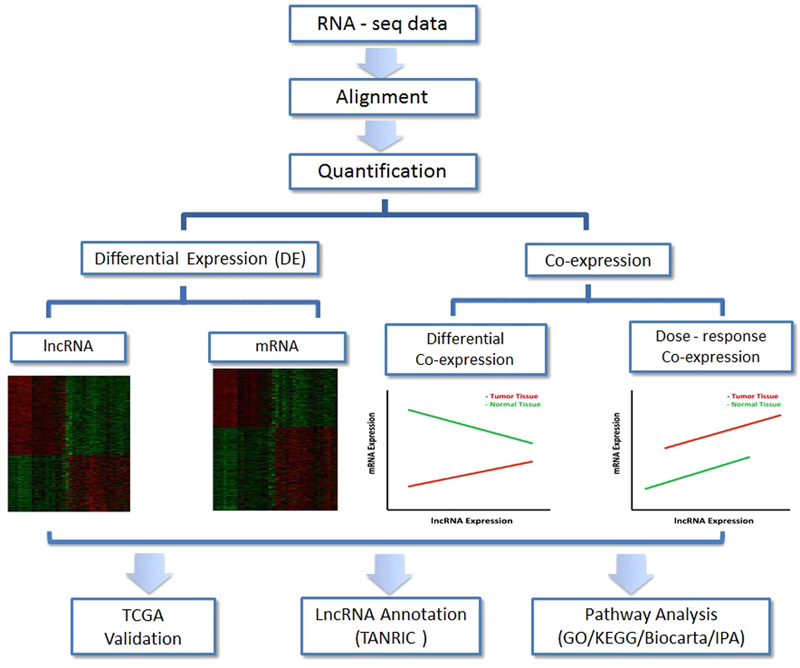 The research team performed alignment and quantification on each RNA-seq sample, and then performed differential expression (DE) analysis to identify breast cancer-associated lncRNAs and mRNAs, as well as co-expression analysis between lncRNAs and mRNAs to infer potential function of lncRNAs considering two possible underlying mechanisms. 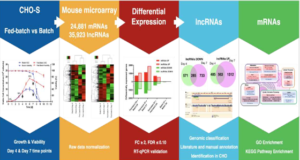 Finally, the findings were validated using external TCGA dataset and other available bioinformatics resources including TANRIC functional annotation and pathway analysis.